Those looking to generate a more youthful appearance aren’t turning to cosmetic surgery as much as they used to. In 2013, there was a 6.5% increase in cosmetic procedures while we saw a 13% increase in nonsurgical cosmetic treatments, according to the American Society of Plastic Surgeons. Some of these nonsurgical treatments included Botox (#1) dermal fillers (#2) laser hair removal (#3) microdermabrasion (#4) and photorejuvenation (#5). What Makes These Noninvasive Cosmetic Treatments Appealing? There could be numerous reasons. With these treatments, there is little to no downtime. This means people don’t have to take time off work or from their busy schedule to submit to the recovery process. Another reason could be the low risks involved. According to a recent study, Botox, dermal fillers, and laser hair removal were reported to have extremely minimal adverse side effects whereas surgical treatments often come with bigger risks. There’s another another huge reason more people crave noninvasive services: technology. Over the last few years, technology for these noninvasive treatments has improved tremendously. Cosmetic lasers are able to provide faster, more youthful results. Cosmetic dermal fillers have increased in longevity. The outlook of noninvasive treatments looks better and better each year. This is also why more estheticians, cosmetologists, and career changers are receiving laser certification. In many states, prerequisites include having your high school diploma or GED in order to enroll in a laser training course. 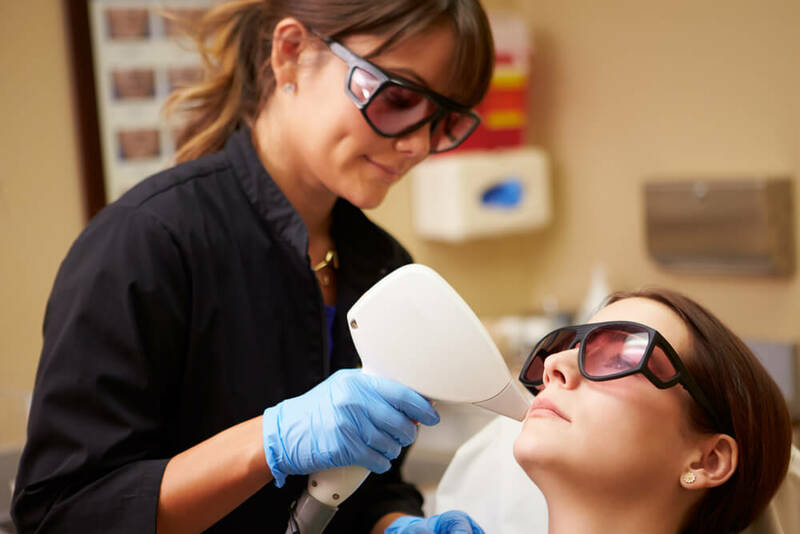 Laser schools like National Laser Institute–the leading cosmetic laser training school in the nation–offer hands-on training to attendees. In two weeks or less, you can earn laser certification as well as laser safety officer training. National Laser Institute also offers hands-on cosmetic injectable training to medical professionals. In as little as a weekend, doctors, physicians, nurses, and other medical professionals can become trained with Botox, dermal fillers, sclerotherapy, and more. Hands-on training is included, and medical professionals will be able to treat real clients in a luxury medical spa. With the promising outlook of these nonsurgical cosmetic treatments, now is the best time to receive training. You can learn more about National Laser Institute or about this booming industry by calling 800-982-6817.